OrbicularisOculi: Da big one are stomping. Da big one are stomping. So recently i turned thirty. My fantastic boss like to give presents that acutely fits the person. So i got some gift certificat at games-workshop. For a long time now i have talked about getting myself a stomp for my ork army. Its a typical thing that never gets prioritized. But whither the birthday money and keeping in mind that it should go to something special and/or big. 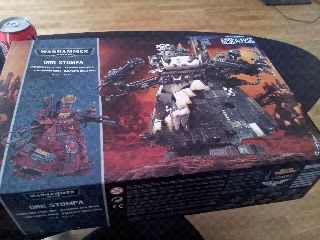 I came out from GW with a big box with a nice stompa. 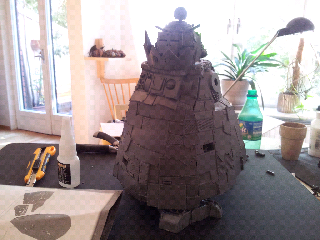 I'm planning of painting it i parts so i won't post pictures of it fully glued together. But how is up for apocalypse next month? I thought you would build it your own way not the GW standard way!?! But I understand if you don't, the Stompa is fantastic the way it is!